Follow in the footsteps of many an intrepid Arctic Circle explorer when you visit this extraordinary archipelago renowned for its polar bears and stunning glacial landscapes. Spitsbergen is the largest of Svalbard’s islands and its capital, Longyearbyen, is the most northerly point in the world served by scheduled flights. Longyearbyen, was once a mining town, and now provides a comfortable base for trips out into the wilderness. It boasts a number of hotels and museums whilst the population of 2000 also enjoys the unique duty free status of the islands with several hospitable bars. Spitsbergen is a year round destination with each season offering a unique perspective of Arctic life. The short Spring and brief Autumn are replaced with endless daylight and Polar Nights. From April to August the sun never sets, offering daylight round the clock – an experience that will delight wildlife enthusiasts, nature lovers and those with a spirit of adventure. From mid-October to mid-February the sun never rises above the horizon. The 24-hr darkness is considered a special time, when the only light is from streetlamps, the reflections of the moon on the glistening snow or from the Northern Lights, which can show at any time of the day. Svalbard was once exploited by hunters and miners for its abundance of natural resources, but National Parks and Nature Reserves now protect this largely untouched wilderness. The stunning scenery is a photographer’s paradise, where the majestic landscape makes for dramatic backdrops, whatever time of the year you travel. The fact that the streets have no names, it’s a duty free zone and it is customary to take your shoes off at the door of any establishment, just adds to the frontier feel of the world’s northernmost city. 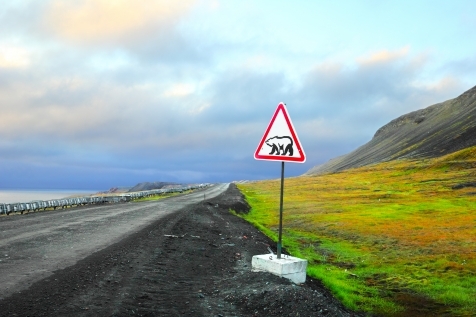 Experience the outdoor thrills of Spitsbergen, home of the Polar Bear. 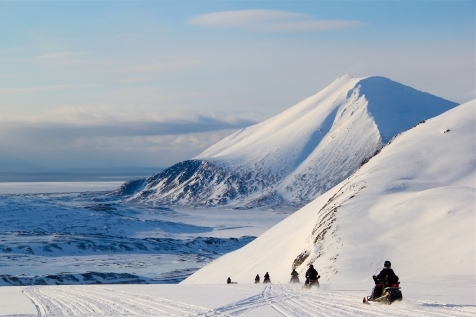 Take a Zodiac cruise to Bird Mountain, hike up a glacier, visit an abandoned Russian mining town, kayak alongside the uninhabited shores of the Arctic Ocean or trek over to Kap Linne, the jumping off point for some of the 19th century Arctic explorers. The fact that the streets have no names and it is customary to check-in your gun at the door (and your shoes), just adds to the frontier feel of the world’s northernmost city. These expedition cruises, specifically designed for small groups, allow you to visit the remotest destinations normally only accessed by boat. Experience spectacular scenery, fascinating flora and fauna including polar bears, walruses and a myriad of seabirds. Expert guides are intent on delivering an active shore programme as well as conducting informative and educational on-board lectures. This break will give you a unique Arctic experience. 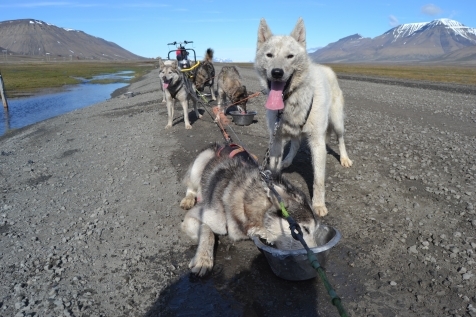 Fly to Svalbard, the northernmost airport in the world serviced by a scheduled airline, collect your husky dogs and head off with your guide for a 3-day mushing expedition into the polar wilderness. Days are spent immersed in this wild landscape that is home to the polar bear and previously the domain of hunters and trappers. Nights are spent in a comfortable, modern cabin as far away from civilisation as you can imagine. Please Note: No previous experience of husky mushing is necessary but a reasonable level of fitness and a love of dogs is essential. 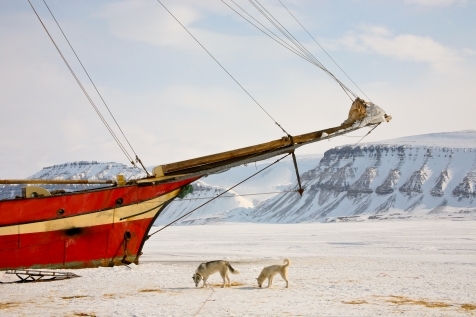 Spitsbergen offers you an authentic Arctic experience in the realm of the Polar Bear. Participate in exciting excursions in spectacular surroundings. Harness your own dogs and mush into the wilderness, track the northern lights by snowcat, snowmobile or husky, delve in ice caves under the frozen glacier. The fact that the streets have no names and it is customary to check your gun in at the door (along with your shoes) just adds to the frontier feel of the world’s northernmost city. 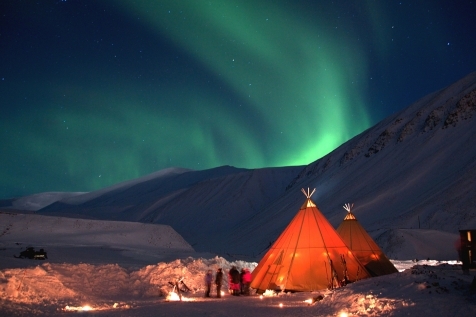 Experience summer in Spitsbergen on this ultimate family adventure. Fly to the world’s northernmost city and spend 4 nights in the realm of the polar bear. 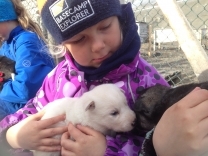 This tour has been specifically designed for adventurous families, who will experience 24-hour daylight, husky-sled carting and overnight stay in a wilderness camp. Our thrill-seeking families will soak up the unique atmosphere of this Arctic outpost, just 800 miles from the North Pole.